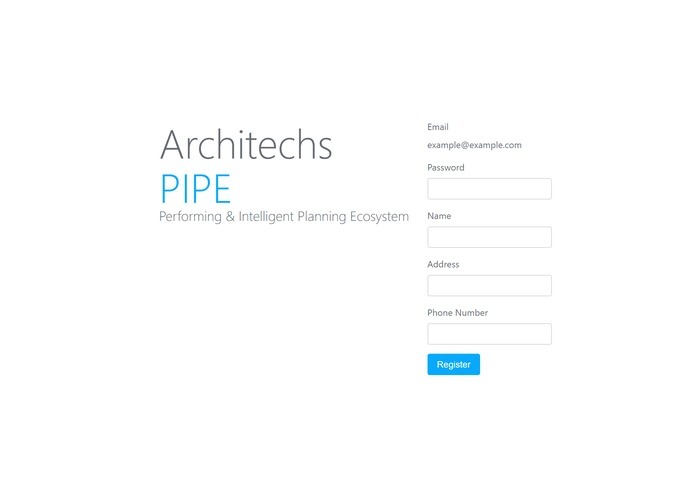 Introducing PIPE- Performing & Intelligent Planning Ecosystem. Promoting efficiency and humanity at the same time. Architechs PIPE (Performing & Intelligent Planning Ecosystem) was built for the Office of Elections to facilitate the communication with their volunteers. Architechs recognize the need for staffs to spend less time answering mundane questions on the phone, but also does not want the volunteers to feel unimportant and unappreciated. We aim to give the staffs more time to focus on the big ideas, while letting the volunteers blaze through the boring, traditional online-form sign ups and have some fun at the same time. 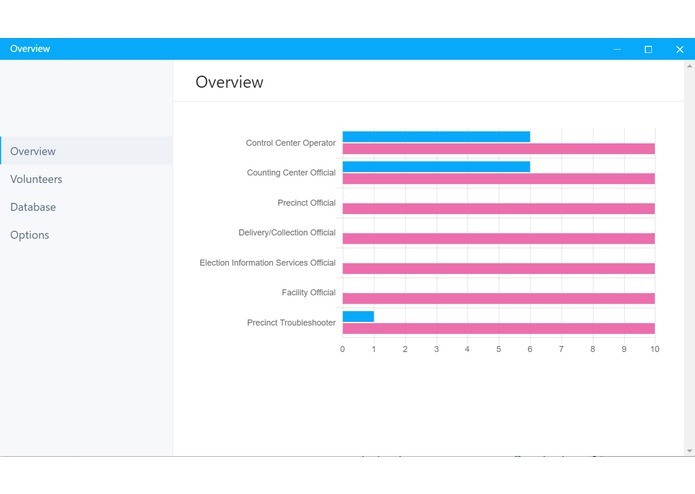 Automates the scheduling of volunteers for the upcoming elections through a modern and sleek user interface. Uses an open source natural language classifier (using Naive Bayes algorithm) to intelligently understand and reply to user input. 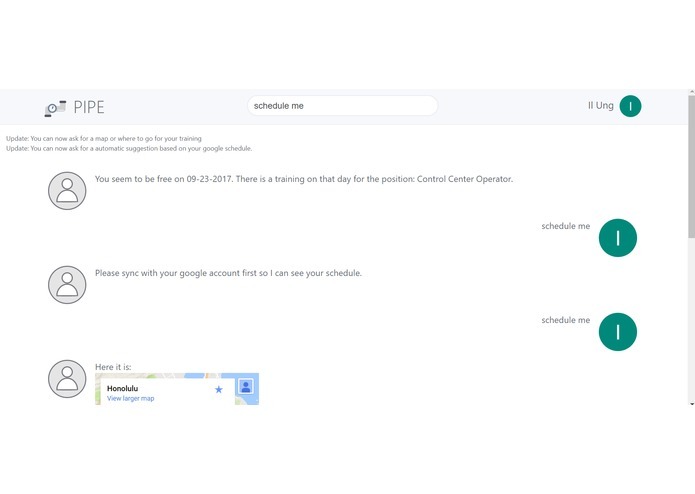 Syncs with google calendar, analyzes upcoming events and suggests when the user should be free for training. Dynamically fetches the map of where the volunteer is scheduled to train at. Generates an overview graph that shows the current and max staffing levels for each volunteer positions. Uses cron jobs to filter and send reminder emails to volunteers regarding their upcoming training. Provides visually appealing interface to view volunteer details. 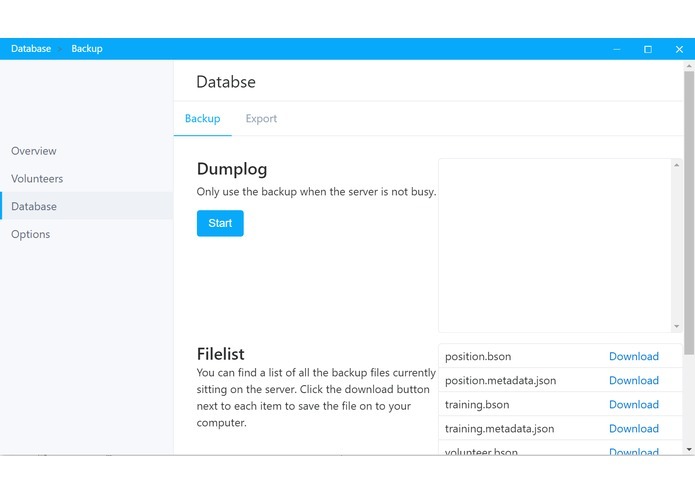 Provides database backup and file browsing utility. Provides ability to set default server settings. In the near future, Architechs PIPE plans to give the staffs more control over the application. The admin will be able to train the intelligent personal assistant using text and associated labels through graphical user interface. PIPE also plans to migrate to using a SQL based database to encourage compatibility with the currently existing system. Hi! I'm just a new graphics designer that also loves to learn. Hi! I'm just a new coder that loves to learn.